Bring your clients out today to visit this well located estate. As you enter the gated entrance, you will pass the beautify 28 acres of pasture with a professional 12 stall barn with wash rack, separate office, 3 garages for hay and feed storage. The front and rear elevations of the house is captivating. The entryway is gorgeous with hardwood floors, hardwood treads stairway, and one of a kind rear facing overlooks really gives this traditional plan an updated feel. You can see through to the gourmet kitchen that will please the most distinguished chef. The view out the windows take in the southern beauty and pool area along the backyard. The den is huge/open and a fireplace that will be great for entertaining that opens to a very large back deck. On the far side of the main level is a master suite that will make you feel as though you are in your own private resort along with an attached flex room that could be used for office/study/nursery. Downstairs has two additional bedrooms, flex room, storage, huge bonus, kitchenette, den, and office that looks onto the perfectly positioned pool.. 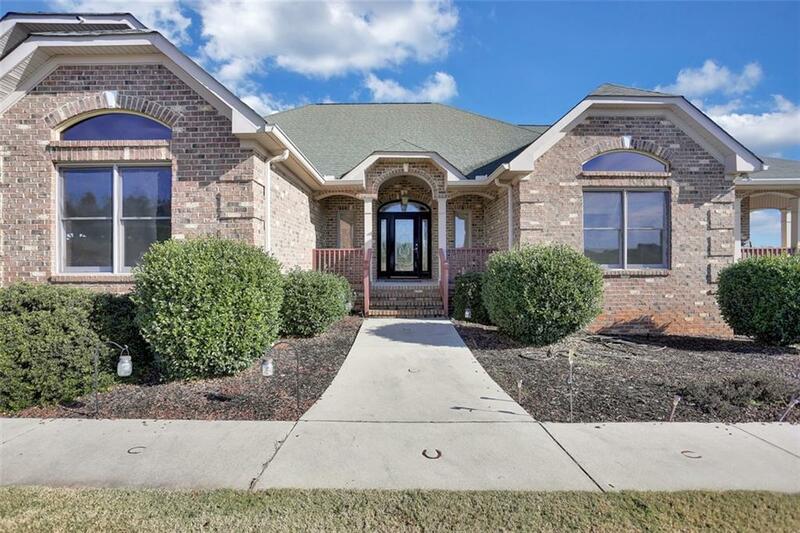 The grounds will surely not disappoint with huge barn that has additional storage that will meet the standards of the most discriminating equestrian. If you are looking for a private estate that is also convenient, this is it. Offers a diverse array of uses including farming, woodworking, collecting, hunting, horseback riding, camping, four-wheeling, or just getting away to enjoy the outdoor pursuits. Make an appointment today and make this your new home. Your backyard is a playground.....Amazing!